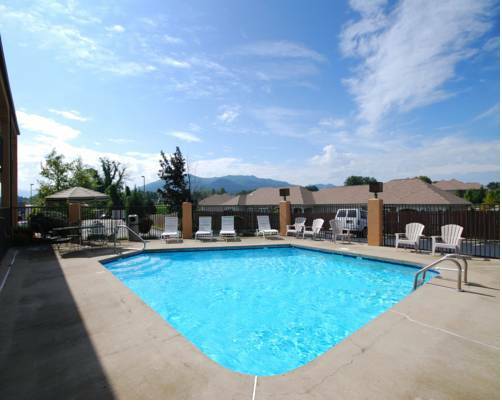 Get more for your hard-earned money at the Quality Inn hotel in Johnson City, TN, nestled in the foothills of the Appalachian Mountains. Nearby activities and sites include the Bristol Motor Speedway, East Tennessee State University, Johnson City Medical Center and the Tri-Cities Regional Airport. Get more value with amenities like free WiFi, free parking and a seasonal outdoor pool. Guest rooms come with TVs, coffee makers and premium bedding. We also offer membership to the Choice Privileges Program, which gives members the opportunity to earn valuable rewards points toward airline miles, gift cards and free hotel room nights. Pet Deposit: 15.00/day per pet. Pet Limit: 1 pet per room. A once abandoned Oz mountaintop theme park, refurbished by locals to open to the public only a few weekends a year. ~27 miles from Johnson City. Three 5,000-gallon milk tanks at a cheese factory resemble cows, thanks to some creative augmentation. ~48 miles from Johnson City. ~68 miles from Johnson City.